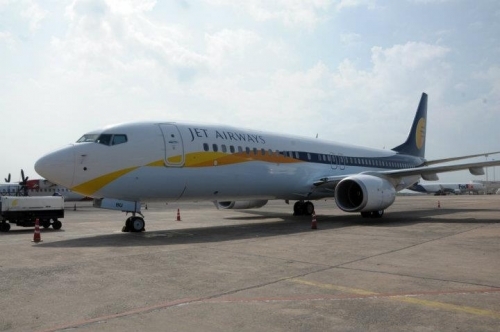 Jet Airways founder Naresh Goyal has agreed to sacrifice “every control and interest” in the financially embattled Indian airline after another 15 aircraft were grounded because it failed to pay lessors. After resisting pressure to relinquish the reins at Jet, Goyal resigned from the board last month and issued a statement Wednesday saying his overriding wish and commitment was to secure the airline’s well-being. “In order to absolutely ensure that they emerge unscathed from the recent disruptions and continue to hold their heads up high with pride for having helped build what I truly believe is one of the world’s premier airlines, I have agreed to sacrifice my every control and interest in airline with the sole aim to ensure the jet family’s lasting welfare,’’ he said. Goyal also said he had taken “some hard personal decisions” to extended his “fullest respectful cooperation” to the consortium of Indian lenders backing the airline. READ: Airlines offer rescue fares to thousands stranded by WOW collapse. The debt resolution plan approved by the airline’s board on March 25 involves new funding from the State Bank of India and other lenders of $US281m. Once India’s leading full-service airline, Reuters reported that the airline had not paid its employees for March and three-quarters of its fleet was now grounded with just 28 aircraft still flying. It has lost market share to IndiGo and SpiceJet and reports suggest 24 percent shareholder Etihad, which has financial woes of its own, has told the Indians it will not invest more money in the airline and wants to sell its stake.